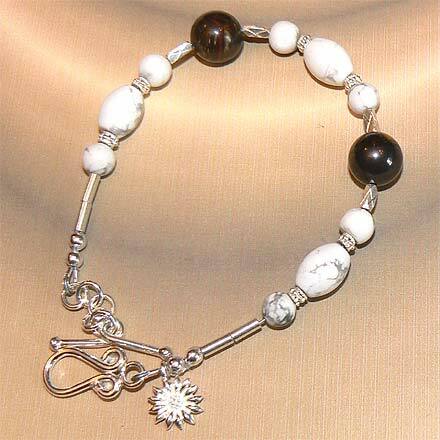 Sterling Silver Howlite and Tiger Iron Bracelet. An interesting contrast of opposites...white lightweight Howlite and dark heavy Tiger Iron. This is a lovely trilevel pendant that hangs from a choker-style necklace. For those who are interested in Astrological significances of stones, Tiger Iron corresponds with Capricorn.